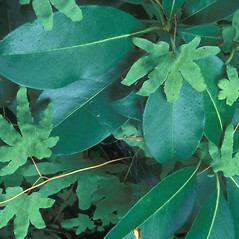 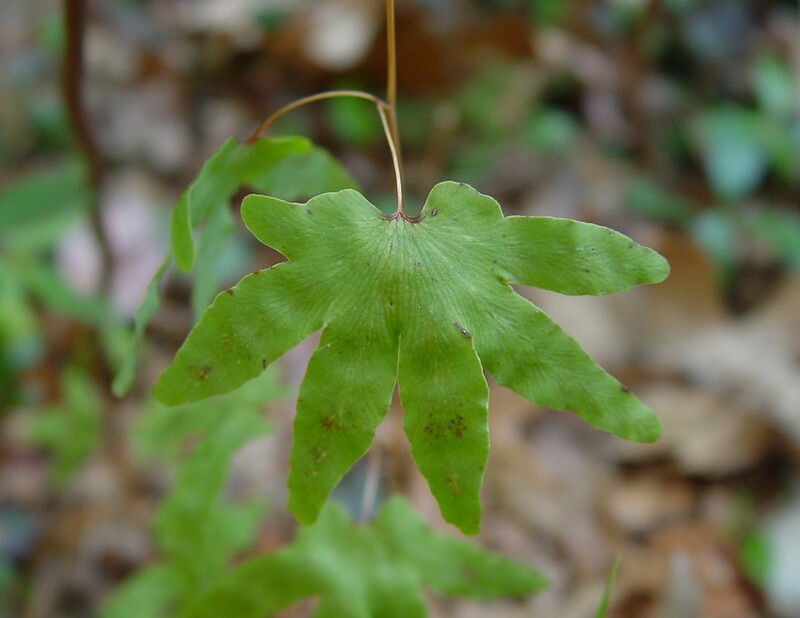 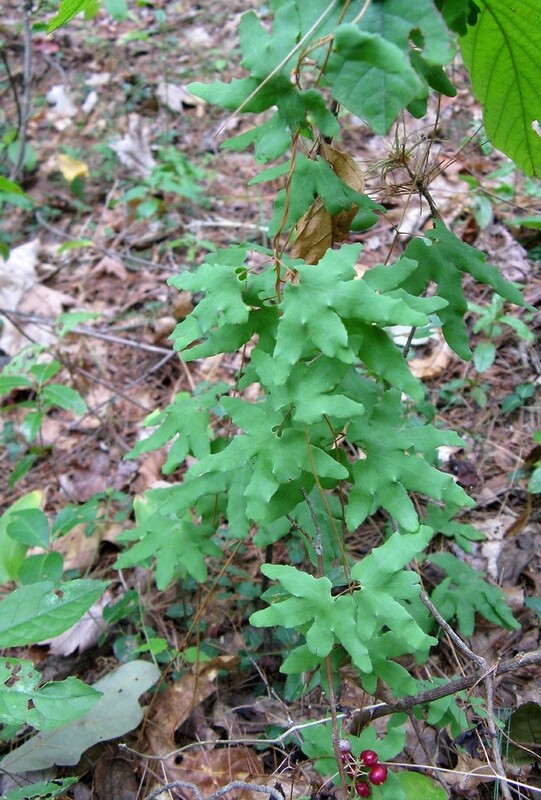 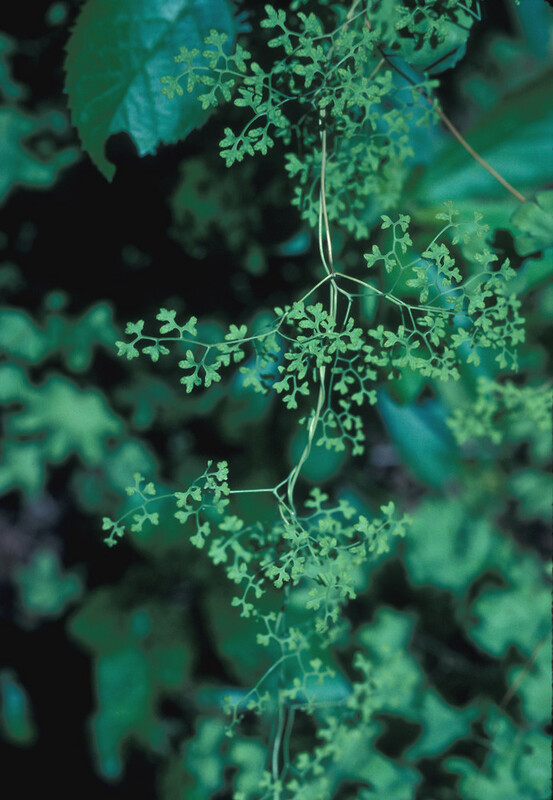 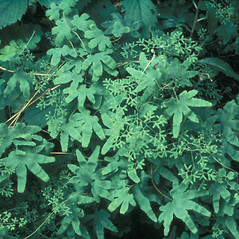 American climbing fern is found in forests, forest edges and swamp margins, mainly on peaty, acidic, sandy soils. 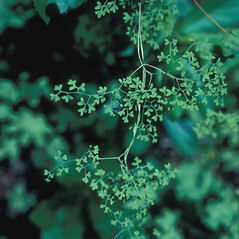 Its fronds twine around other vegetation and can attain lengths of 15 feet (4.5 m). 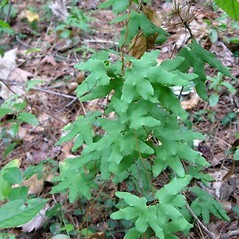 This attractive and unusual fern has the further distinction of having been the first plant protected by law in the United States. 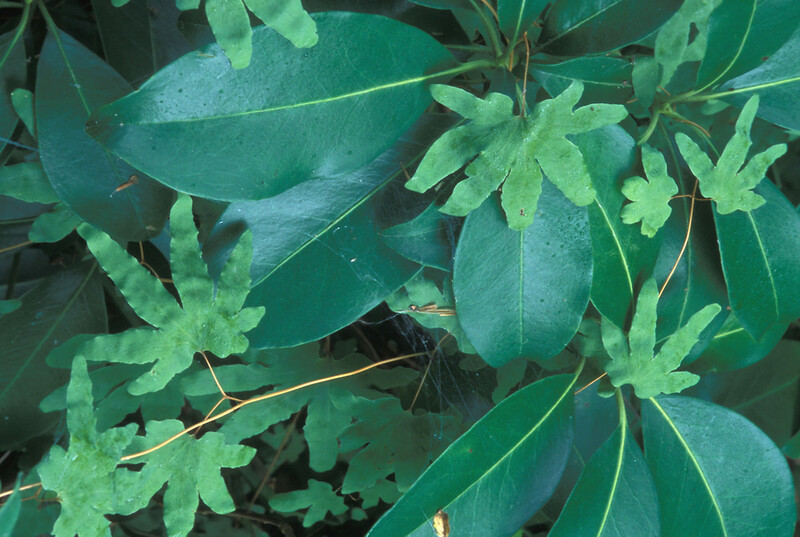 This occurred in 1869, when Connecticut passed legislation to curb rampant collection for Christmas decorations. 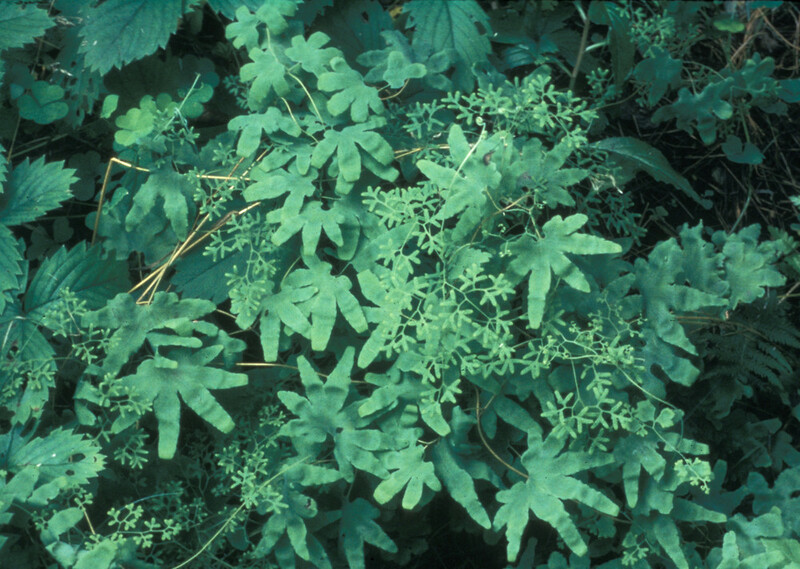 Alas, the species never recovered its former abundance due to habitat loss from expanding agriculture. 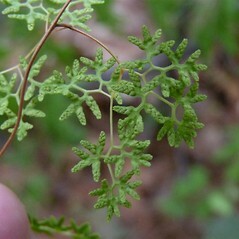 American climbing fern. 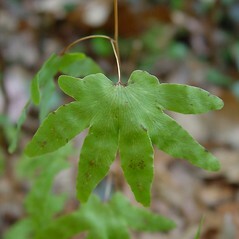 Gisopteris palmata Bernh. 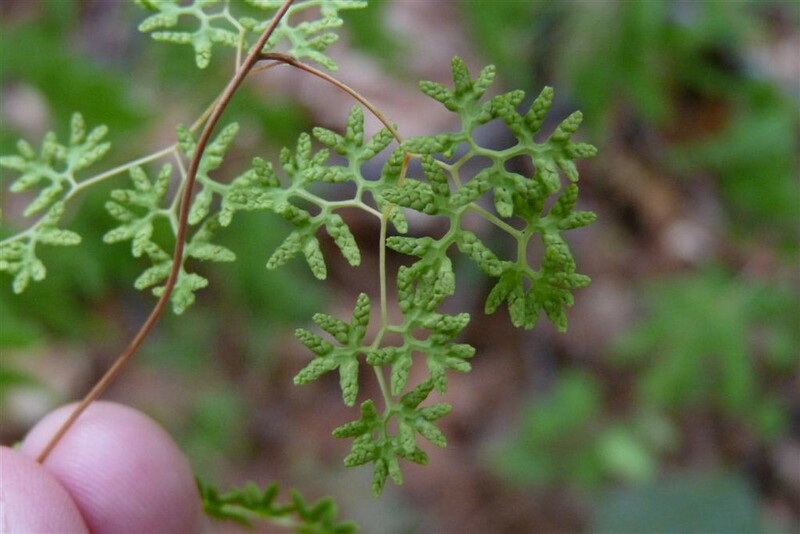 • CT, MA, NH, RI, VT. Low forests, forest edges, and swamp margins, mainly on peaty, acid soils overlying sand.